For your holidays or vacation, apartment for rent, climatized, on the 2nd floor, suitable for four persons (eventually plus two). 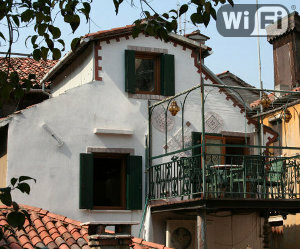 It’s in the historical center of Venice, is 300 mt. far from Saint Marcus Square (7 minutes by foot). From the airport is reachable by water-taxi in half an hour, landing at home.